We all know how to walk, right? WRONG! 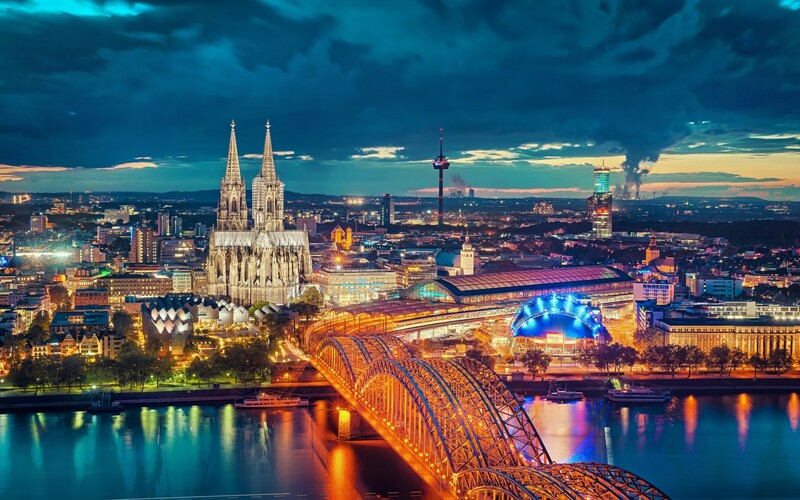 If you travel to Germany, you will be stunned by the impeccably clean streets, gorgeous classic and modern architecture and the politeness and warmth of the people. As with almost everything in Germany, there are rules!!! These rules keep the peace and order within and make it the wondrous place that it is to visit. Before my first trip to Cologne (Köln) a friend of mine warned me about different colored sidewalks and something about him getting a ticket from a police officer for not following signals. After slowing him down and asking to clarify, I realized he was trying to inform me about the rules walking there. 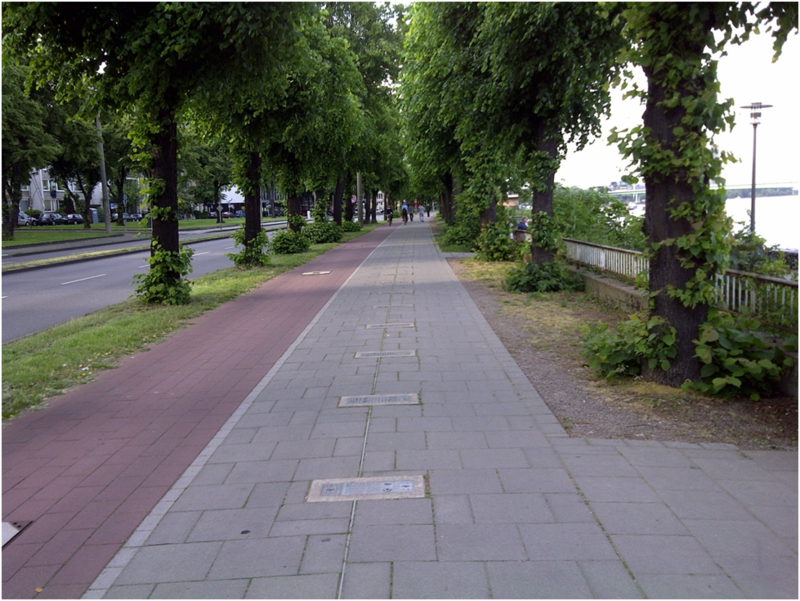 It turns out that Germany, ingeniously, has paved the bike paths a different color to differentiate which space pedestrians and cyclists should utilize. Normally, pedestrians have the right-of-way, but not in Germany. A cyclist will run you down if you are sauntering in their lane. While this is true, most will jingle their bike bell to warn you of their approach. The oddest thing to see is that people politely get out of the bike lane right away. That’s the thing . . . Germans understand and follow these rules. Even more, they expect everyone else to. This was evidenced when I was in a taxi. The taxi driver was not from Germany and began to make a turn into a crosswalk that had a “Walk” signal for the pedestrians. While the pedestrians were not in a group nor knew each other, they, in unison, started screaming at the taxi for daring to violate the crosswalk rules. On that note, crossing signals should strictly be adhered to. Both for the regular street ones and the ones for the train track crossing. This is where my poor friend acquired a ticket from a police officer. Apparently, seeing that no train or traffic was coming, decided to make his way across the street in the crosswalk. BAMN!!! A cop descended on him like a bat out of hell and issued him a summons along with a stern lecture. German cities are the most amazing walking cities in the world. The streets are so clean, the people are friendly, and signs clearly mark where destinations are. But, I cannot stress enough how strict Germans are with their rules. If you follow them, you will have a wonderful time and truly enjoy your time there. If you disobey the rules . . . you will feel like everyone around you has turned against you. When walking, stay off of the colored paved bike lanes. Stay in the crosswalks when crossing a street. Pay strict attention to the “Walk” and “Do Not Walk” signals. Pay strict attention to the “Walk” and “Do Not Walk” signals when crossing the train tracks as well. Do get out there and explore Germany’s extraordinary walking cities.